Dr. Stuart Firestein is a Professor and Chair in the Department Biological Sciences at Columbia University. He received his B.S. Degree in Biology from San Francisco State University and his PhD in Neuroscience from the University of California, Berkeley. Afterward, Stuart completed a postdoctoral fellowship at Yale University. 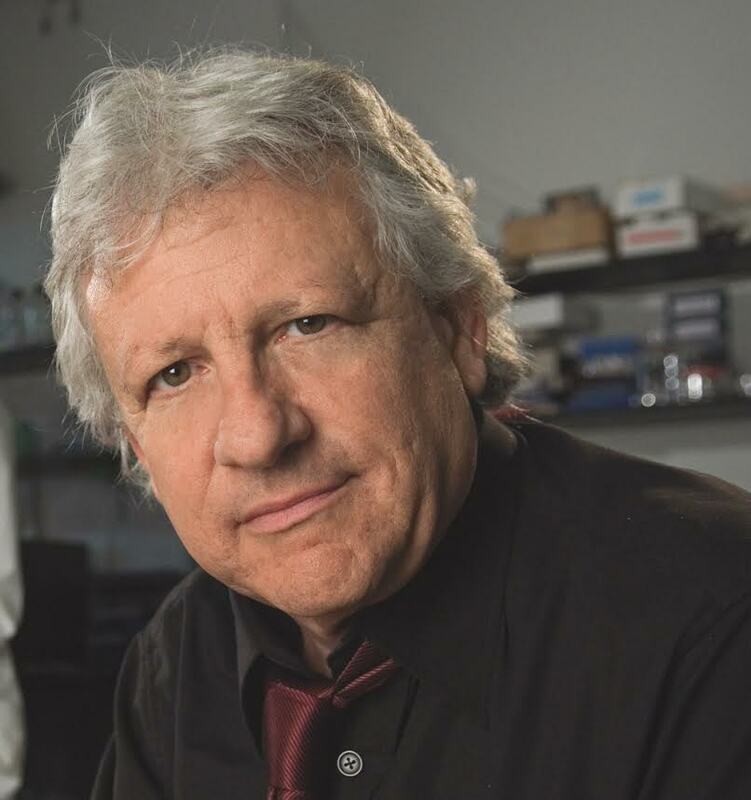 He has received the Lenfest Distinguished Columbia Faculty Award for scholarship and teaching as well as being named a Fellow of the American Association for the Advancement of Science, an Alfred Sloan Fellow, and a Guggenheim Fellow. Stuart is also an advisor for the Alfred P. Sloan Foundation’s program for the Public Understanding of Science and the author of the book Ignorance: How it Drives Science and the upcoming book Failure: Why Science is So Successful that will be released in October 2015. Stuart is here with us today to tell us all about his journey through life and science. Stuart likes spending time with people. He enjoys discussing a variety of topics over drinks and interacting with both scientists and non-scientists. One of Stuart’s regular hangout destinations recently closed, so he’s on the lookout for his next favorite local spot. Research in Stuart’s lab focuses on the sense of smell (olfaction), not only because it is inherently fascinating, but also because it is a good model for understanding a lot of things the brain does. For example, examining our olfactory system gives us insight into how the nervous system is able to recognize molecules. When Stuart was in high school he was passionate about theater, so he pursued this career path afterwards. When Stuart was about 30 years old, he was working as a stage manager and doing lighting for a show in San Francisco, and his days were mostly free. Stuart had a longstanding interest in animal behavior so he decided to pass some of his daylight hours taking an animal behavior class at San Francisco State University. He had never been to college and had been out of school for a while, but this class had a huge impact on him. Stuart connected with his professor and was persuaded to pursue a full degree in biology. In graduate school, Stuart worked in a lab that studied vision and the retina. He was struggling with a project on bipolar cells in the retina because these cells were really difficult to record from. While his advisor was on vacation, Stuart switched his research to olfaction, and all the lab members chipped in to help him out with his covert project. Stuart got phenomenal recordings from olfactory neurons, and when his advisor returned and saw the results, he allowed Stuart to continue pursuing olfactory research. One of the major successes in Stuart’s lab was a success of his first graduate student. People in the field had been unable to get cells in culture to express olfactory receptors, and no one knew why. His student came up with an innovative way to use viruses to infect olfactory neurons in live animals with the genes for the receptors they wanted to study. The method worked beautifully, and the paper for this project was instrumental in Stuart’s quest to be awarded tenure. Stuart was fortunate to attend the Nobel Prize Ceremony in Stockholm on two occasions. He went to see his good friend Linda Buck receive the prize in 2004 and was able to return in 2008 to see his close friend Chalfie recognized with this prestigious award. The whole thing was spectacular and felt like the Academy Awards for science, complete with a red carpet, dazzlingly dressed guests, and the presence of royalty. There were great scientific lectures, events for the public, and the long, dark days of December in Stockholm that added to the sense of festivity. One of Stuart’s favorite traditions in science is lab meeting where everyone comes together to talk about what they are working on. There is always humor in his lab, and it’s the sort of place you want to get to early in the morning and stay at late at night because of the people there and the funny things that come up. Just keep your eye on the ball and stay focused if you want to become a great scientist. Stuart is the former Chair of Columbia University’s Department of Biological Sciences where his colleagues and he study the vertebrate olfactory system, possibly the best chemical detector on the face of the planet. Aside from its molecular detection capabilities, the olfactory system serves as a model for investigating general principles and mechanisms of signaling and perception in the brain. The olfactory system represents a unique opportunity for these studies as it processes sensory information over a very short neural pathway – giving rise to striking perceptions and memories with much less processing than the visual system requires, thus making it a more tractable system to understand. The laboratory has published over 100 scientific articles on their research. His laboratory seeks to answer that fundamental human question: How do I smell? Dedicated to promoting the accessibility of science to a public audience, Stuart serves as an advisor for the Alfred P. Sloan Foundation’s program for the Public Understanding of Science, where he reviews scripts for the Ensemble Studio Theatre/Sloan Science and Technology Program, and for the Tribeca and Hamptons International Film Festivals.